I had forgotten to add SQL Injection prevention logic when I integrated and implemented a SQL search function for my employer’s internal ASP.NET app. So in this post, I’m adding it for archival and sharing purposes. SQL injection is an attack in which malicious code is inserted into strings that are later passed to an instance of SQL Server for parsing and execution. BTW, here’s an excellent article about SQL Injection on the MSDN site. 3. Build/compile your app then test it out. If all goes well, you should not get any errors and your web app’s search function should now be SQL Injection-proof. One of the trickiest things about learning SQL is mastering how various JOIN statements differ in the ways they combine data from multiple data tables. There are three types of joins: inner, outer, and cross. In addition, there are three types of outer joins: left, right, and full. It can be frustrating trying to keep them differentiated, so here’s a quick guide. 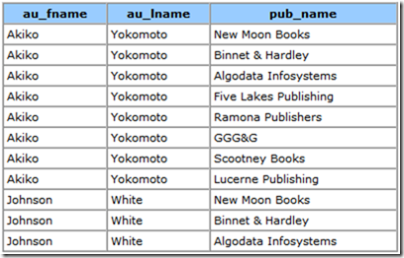 All of the following examples involve joining the authors and publishers tables in the Pubs sample database included with SQL Server. An outer join returns all rows from the joined tables whether or not there’s a matching row between them. 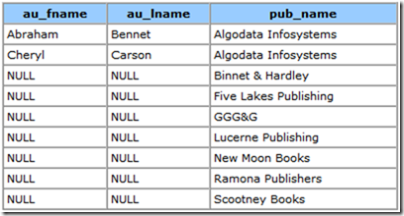 The ON clause supplements the data rather than filtering it. The three types of outer joins, left, right, and full, indicate the main data’s source. As you might have gathered, a full outer join retrieves all the rows from both joined tables. 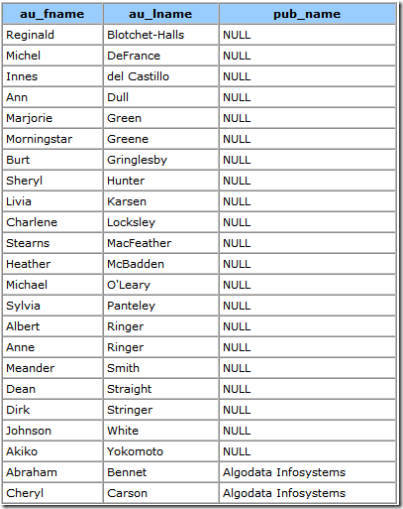 It returns all of the paired rows where the join condition is true, plus the unpaired rows from each table concatenated with NULL rows from the other table. You usually won’t want to use one of these. If executed successfully, you should get something like below, which shows that SP2 is installed. I use MySQL as my database server, and thankfully, it’s been reliable and easy to use. A qualm I have, however, is that it doesn’t include a daily backup feature, unlike Microsoft SQL Server. A script to take daily, weekly and monthly backups of your MySQL databases using mysqldump. Features – Backup mutiple databases – Single backup file or to a seperate file for each DB – Compress backup files – Backup remote servers – E-mail logs – More..
1. Download automysqlbackup.sh and place it into your /etc/cron.daily directory like so: cp /path-to-automysqlbackup/automysqlbackup.sh /etc/cron.daily/. 3. Make the file executable by typing: chmod u+rwx automysqlbackup.sh. 4. Create the following directory by typing: mkdir ./backups.